Do you think you have a cute toddler? Do you think they could win a photo contest? Would you like a FREE photo session? Read on…. 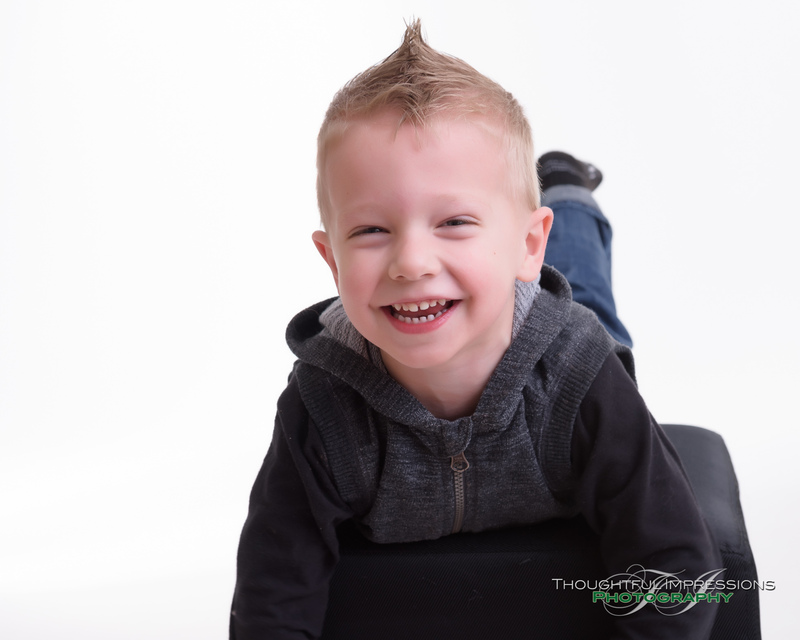 You bring your Toddler (ages 16 months – 47 months ) to my home studio located in Pontypool. Located just 20 minutes from Peterborough, Lindsay, Port Perry or Bowmanville. You can check our exact location on the Contact Page. Once here, I will treat you to approximately a 45 minute, stress free photo session with your child. There is absolutely NO COST to you. In case you should want more images, additional prints may be purchased at 25% off of our regular pricing at the time of the viewing session. If you choose to order later, prices will revert to normal. On or about Apr 11, 2016 (once all the proofing sessions are completed) I will post an album on our Facebook page ( Facebook.com/ThoughtfulImpressions) that will contain everyone’s chosen image. Get your friends & family to “like” your child’s photo on our facebook page. (unless they would rather like someone else’s photo 😉 ) Facebook likes will count for 25% of the total vote. The likes do need to be on the photo on Thoughtful Impressions page post for them to be counted (if there are likes on a shared photo, I won’t be able to count them). I recommend that you tag yourself in the photo rather than share it on your own timeline as this can sometimes lead to “likes” not showing up. At 9pm on Apr 16th, the Facebook likes will be tallied. Any likes received after this time will not be counted as votes. Images will also be voted on by an independent panel. These votes will count for 75% of the final vote. Winners will be announced on the Facebook page in the afternoon of April 18th, 2016. To reserve your spot, just call or TEXT me at 705.772.7702 to book your session. Or you can email me at baby-contest@thoughtful-impressions.ca to find out available dates or book your session.